Another chain restaurant that capitalizes on Italian cuisine. This Ohio-based company calls itself a Tuscan steak and chop house and serves up wood-fired grilled pork chops, lamb chops, whole roasted chicken and several steaks done with Tuscan touches (i.e., rosemary and lemon). For the poultry lover, there's chicken breast cooked under a brick, a traditional Tuscan method that sears the meat while retaining juiciness. The wood-fired oven pumps out an array of pizzas and tasty flatbreads, while several pastas round out the roster. The space is huge -- nearly 8,000 square feet -- and decorated with a blend of elegance and casual flair. Yes, it's a chain. But Brio offers simple food with more than a nod toward authenticity served in a pleasant and festive, if not noisy, setting. Extra Info: $2 off martinis all day on Wednesday. 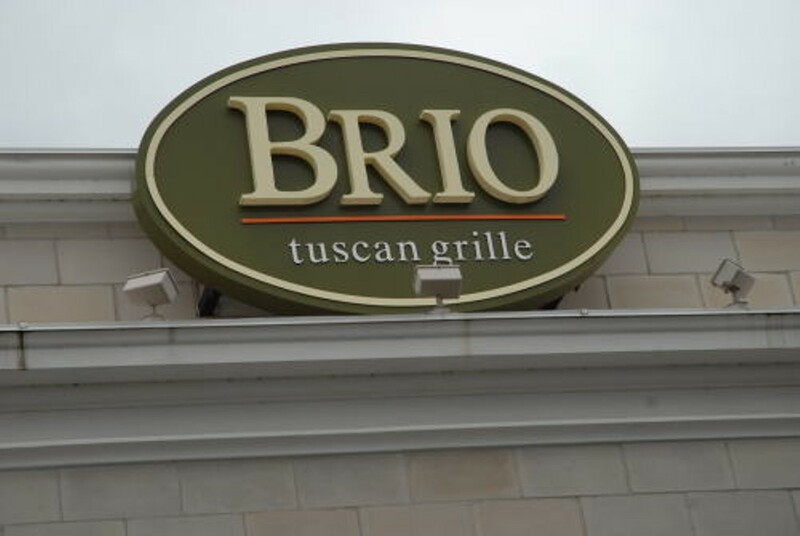 Brio Tuscan Grille, 1601 South Lindbergh Boulevard, Frontenac; 314-432-4410.